Doubleheader action: Navy hosts Texas State on CBSSN immediately following Army’s game. Drink it in — no more Army or Navy football until the big game Dec. 8 in Philadelphia. Gambling is illegal in most states: Army is a 3.5-point favorite. Scouting th … wait, what? : Don’t doubt Las Vegas — Temple brings a better record and a fairly strong schedule into West Point, but it’s the Black Knights who’ve ended up the favorite. The Owls are on a four-game skid and haven’t scored more than 17 points since defeating South Florida 37-28 on Oct. 6. Their offense ranks near the bottom of college football, they are in the midst of a quarterback controversy and they recently scrapped plans for a late-season trip to Hawaii. Aside from losing out on some fun in the sun next month, not scheduling Hawaii ends Temple’s bowl hopes. They can finish 5-6 at best, not enough wins for a postseason berth. Grinding to the finish: Army senior quarterback Trent Steelman’s no stranger to injury. From limping into the press conference after last year’s Army-Navy game to losing feeling in his throwing shoulder during last week’s loss to Rutgers, his four seasons at the helm of Army’s offense have come with a price. 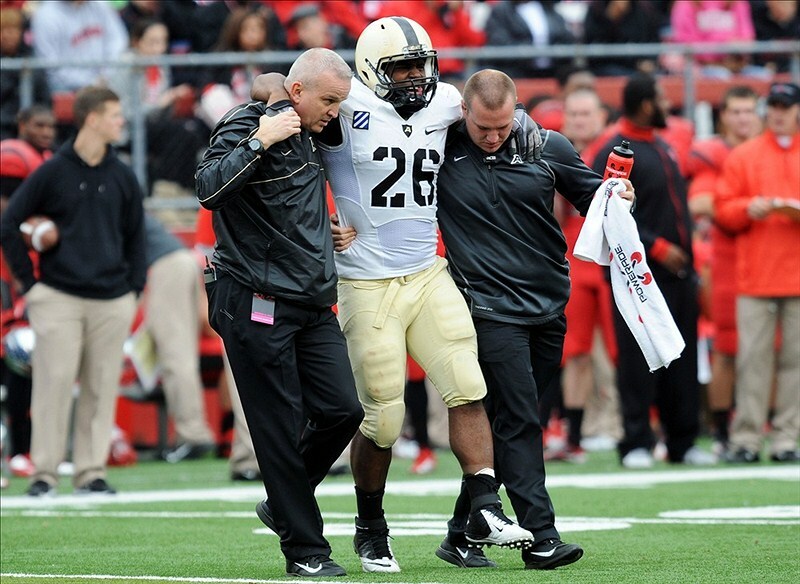 Army football guru Sal Interdonato talked to Steelman and to coach Rich Ellerson about the battle scars the Black Knights have piled up over a long season. The case for the Owls: Temple has history on its side with wins in the last four meetings with Army, including a 42-14 throttling of the Black Knights in Philadelphia last year. Senior running back Matt Brown is a big-play threat as a punt returner, averaging almost 15 yards a return — eighth in the country. Army’s lost 15 straight games to Big East opponents, dating back to 1997. Middle man: A key matchup this week will be Steelman and fullback Larry Dixon against Temple middle linebacker Nate Smith, a redshirt freshman who’s second on the team in tackles (62) and has recorded 3.5 sacks and forced three fumbles. Solving the option attack is rough for any linebacker, especially a freshman. He will get some support on the outside from fellow freshman Tyler Matakevich and junior Blaze Caponegro, who earned his rightful place on at least one college all-name team. Odds and ends: Interdonato says senior Eric Osteen will take over placekicking duties on Saturday. … Junior Raymond Maples is 35 yards away from a 1,000-yard season; Steelman’s already at 1,013. … Aside from “Gangnam Style,” we’re low on Army spirit spots — send us a link via our Facebook page.